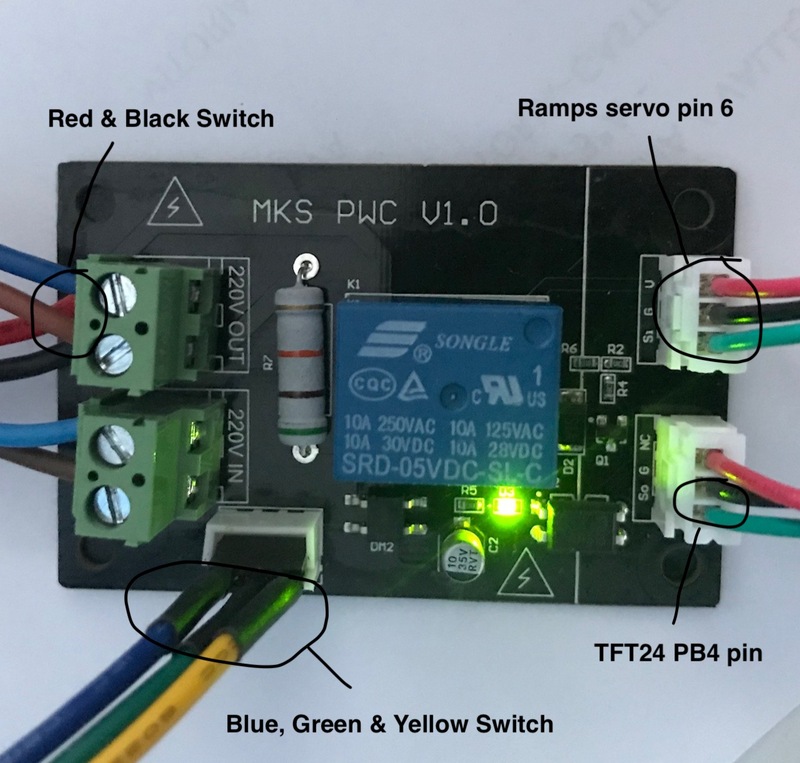 I am looking for the complete pinout (and if possible a schematic) of the MKS Base v1.4 sold with my Tarantula, and I cannot find it. I specifically want to locate pins 4 and 44, for a few mods I'd like to try, but no joy so far. Attached is a picture of the board. Thanks for your help. Pins 4 and 44 are used by E1, neither pins have a header (no connector). I have reversed the pinouts for all the header pins. The attached files should help those of you wanting to tweak your settings/mods. NOTE:pins_MKS_BASE_14.h works for my Marlin 1.1.8 setup but is not completely tweaked. So just for clarity the MKS Base 1.4 is defined in marlin as board 33? The board itself has not been added to Marlin 1.1 source. Hey man I just had to write you and thank you for this, I was also trying to wire a PT100 and I could not find any schematics of the mks 1.4 base anywhere online, unbelievable. You are a legend friend. Cheers. Thanks for the feedback, it is always appreciated! You are awesome. I'm putting in a PT100 with an amplifier board and I needed an analog pin with Ground and 5v. Look like it's going next to the BLTouch on A11 or A12 oon XS3. Glad you find the info useful. This is more than useful. I have probably spent 3 or 4 hours trying to find even halfway accurate diagrams of the board, let alone a pinout spreadsheet. I couldn't find any diagrams or schematics either. This was my way to give back to the DIY community. Please let me know if you find any errors with the diagrams/spreadsheet. I already posted in other thread, but I see that this discussion is already about pinout. Do anyone knows where the PS_ON pins are located? I just found out in your Excel file that PB6 is PS_ON, so connecting one of the ATX on pins to PB6 and the other one to +5v ? You require a relay or "3D-Printer-MKS-PWC-Controller-Board-Automatic-Shutdown-Support-Marlin"
Thank you. I did something like that to work around my problem and reassign the pins the way I wanted them to be for my filament runout sensor. I would have lost less time if I knew that neither pins 4 and 44 have a header... Thanks again. I ran into the same problem, and decided to map out the pins. I have already added a menu controlled LED that lights up were the extruder is printing. and a modified version of https://www.hackster.io/binsun148/smart-filament-runout-switch-e0da31 that is not internet dependent. The best I could find was this schematic for the MKSBase 1.4, but no mention is made on the Schematic of where Pins 4 and 40 are bought out on the board. After having a close look at my board, I think it might be possible to access both pins by soldering connections onto the relevant tracks, BUT that would be tricky as the tracks are very small, and there seem to be no solder pads that connect directly to those pins on the ATMEGA chip. I considered doing just that and I found only PIN 44 as being free of assignment and delivering 5V PWM, what I need for controlling my laser head. I already assigned PIN 4 to an unsused endstop, and it works great. Thanks, Blanik. No, I found this one already (v1.1) but the layout is very different... Thanks anyway!